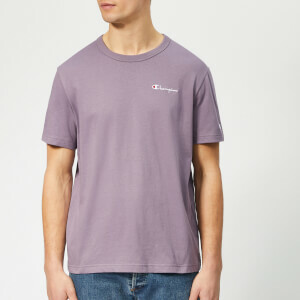 Men's crew neck T-shirt from Champion. 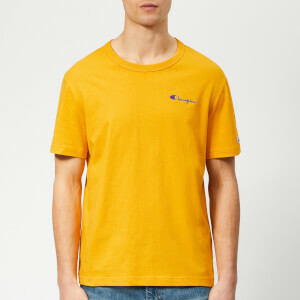 Cut from pure cotton using reverse weave technology for enhanced durability, the basic tee features a ribbed crew neck, short sleeves and a straight hem. Finished with the brand's embroidered 'C' logo to the left sleeve in red, white and blue.